Are you looking to sell your Doosan digger or excavator? Do you have a Doosan digger or excavator for sale? 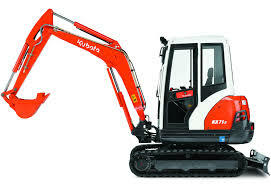 Do you have Doosan digger or excavator for sale? Looking to sell your Doosan digger or excavator? Then you should get in touch with us at Sell My Digger right away. We are currently extremely keen to speak to anyone with Doosan excavators for sale, no matter the make or model. Whether heavily used or barely touched, we can offer a fast and fair cash price for your Doosan construction equipment today. Doosan Heavy Industries and Construction was a company first formed in 2001, carrying on the good work and production of Korea Heavy Industries and Construction Co. Some may recognise Doosan as offering Daewoo products, as they have also homed the construction arm of that brand after its dismantling by the South Korean government in 1999. Doosan offer a variety of digger makes and models, catering to many jobs big or small, many still carrying the Daewoo name. With such a top quality reputation and history, we are keen to acquire some of these great Doosan digging and excavation machines no matter the size, capability, make model or age. So if you have a Doosan digger for sale then give us a call today to find out how much it’s worth. Whether you have a single digger or a whole fleet, simply tell us a bit about your machinery either over the phone or via our online contact form, and we’ll get back in touch with you as soon as possible with a reasonable cash offer for your diggers. 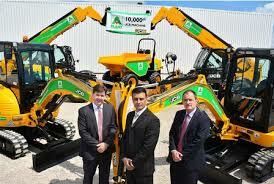 We cater to the whole of the UK and don’t just purchase Doosan diggers. So if you have excavation equipment you are looking to sell, which isn’t a Doosan, still do get in touch with us to see what we can offer you today. For a fast and reliable solution to your unused machinery problems, always trust Sell My Digger to give you a fair deal and fast.